The powerful Iphone 7 has arrived and will be available from 7 October 2016 in India. Apple has made many changes to this new machine. A new color has been added to Iphone 7. Further, you will know in detail specs of new Iphone 7. 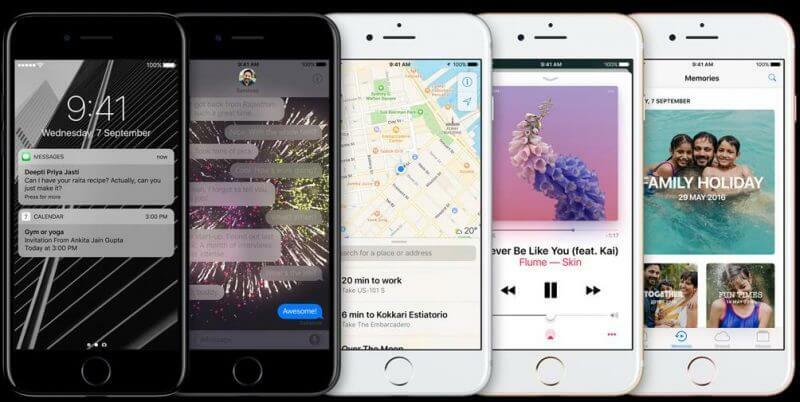 Iphone 7 looks similar looks like Iphone 6 came last year. Mirror and glossy design give Iphone 7 a great look. Iphone 6 was coming in the matte metal finish. 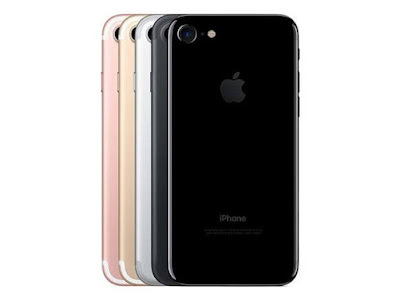 The Jet Black color newly added to Iphone 7 which makes it looks richer and cool. You can opt for other color variants also like Silver, Gold, and Rose Gold. The home button of this phone has been redesigned. Force Touch trackpads will be more Force sensitive with the help of this feature. This phone comes with Tactic Engine haptic feedback system identical to Apple Watch. The new Iphone 7 comes with 3.5 mm Headphone jack. Apple is giving EarPods with the lighting connection and free adaptor. Iphone 7 comes with iOS 10 OS and its optimization is an another good reason to buy this smartphone. The software and hardware work very good with each other. This smartphone comes with the rear dual camera, which works as one and 3D touch is more advance in Iphone 7 caparison to its previous versions. Iphone 7 is made with 1960 MaH nonremovable, Li-Polymer battery. This phone is equipped with bigger battery compared to previous models of Iphone. You can talk up to 14 Hrs (3G) non-stop with new Iphone 7. You can listen to music up to 40 Hrs with your new phone. The Iphone 7 is made with new A10 Fusion processor. This processor works 40 percent faster than its previous version A9. The A10 Fusion comes with Quad- core. It makes the new Iphone run faster twice then Iphone 6. Two of them help in efficient performance and remaining two works with one-fifth of the power of cores with very high performance. The Six core graphics makes this device give an enhanced performance. The graphics of this phone runs three times faster than Iphone 6. The new Iphone 7 is equipped with 12 MP primary and 7 MP secondary cameras. The rear camera is assisted with Quad-LED (dual tone) flash which helps in amazing pictures and videos. The other features are f/1.8, phase detection autofocus, OIS, quad-LED (dual tone) flash, geo-tagging, simultaneous 4K video and 8MP image recording, touch focus, face/smile detection, HDR (photo/panorama), 1080p@30fps, 720p@240fps etc. Iphone 7 comes with dual rear camera, which works as one unit. The new Iphone 7 is water and dust resistant, certified by IP67. This phone can resist water up to 1 meter and for 30 minutes. Iphone 7 is available with 32/128/256 Gb storage options. Here also this mega machine is made to deliver high performance in term of storage capacity compared to Iphone 6. Iphone 7 can store twice of Iphone 6. Iphone 7 is priced same as its previous version Iphone 6. Means, you can now purchase Iphone 7 with a price tag of Iphone 6 and you will get double storage than iphone 6 in your iphone 7. 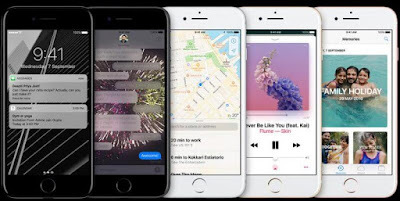 Iphone 7 is undoubtedly an improved version of iphone 6 with every aspect. It's better design, improved battery life and bigger camera and other world class features makes this phone top of the class and worth for its money.